4-H members took part in judging this week for many of their projects. Jeff Circle and Tim Ihle go over the judging results. The men have judged projects for several years. ROCKSPRINGS — County 4-H members competed for Grand Champion with their projects this week at Meigs High School. Children between the ages of nine and 18 have been working on their chosen 4-H projects since they enrolled in April. 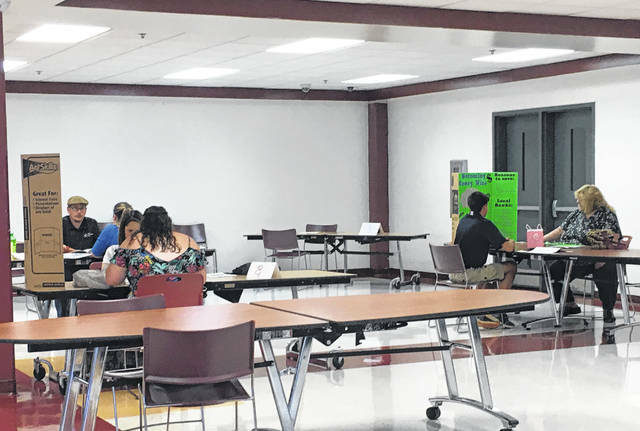 However, some members got an early start on them and began their work last fall, according to Michelle Stumbo, the Meigs County Extension Educator. Stumbo said she is always happy to see the 4-H members come into judging week with a project they are proud to show off and talk about. “I love seeing the kids bring in their finished projects,” said Stumbo. Meghan Short, who has been a 4-H member for nine years, participated in her last judging on Wednesday. “It’s been such a big part of my life,” said Short. Although Short said she is sad because her last project is now complete, she is looking forward to fair week. Short is excited to decorate a parade float, fair booth, trash cans and landscaping around the fairgrounds with her 4-H club, Cowboy Boots and Country Roots. Volunteers from around the area participate by being judges during the week. Jeff Circle and Tim Ihle have been judging projects, such as woodworking, electricity, welding and knots, for several years together. Circle and Ihle used to work together when they were in the Carpenters Local Union 650. Circle and Ihle said their favorite part of volunteering during judging week is getting to meet local children who have similar interests as they do. They enjoy watching the same group of children grow up and expand their skills. It’s not only about the competition. Stumbo mentioned that the skills members gain from participating in 4-H carry on through life and their future careers. Ihle said that nothing, even schooling, compares to the skills children learn through 4-H. Circle and Ihle both noticed that many members take a variety of projects, which allows them to gain many different skills. The food and clothing project judgings are scheduled for Friday at 1 p.m. at the Meigs County Extension Office. 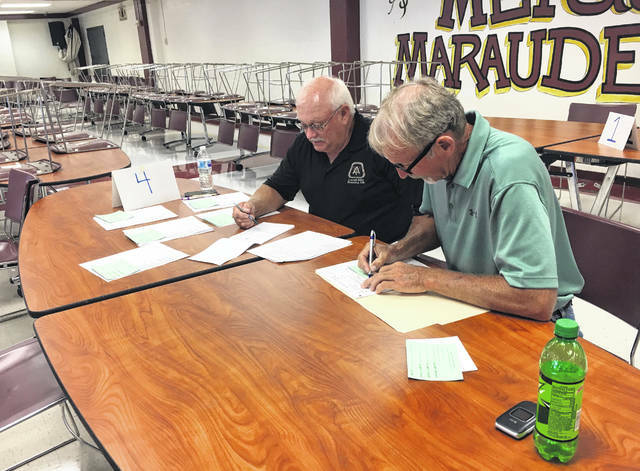 https://www.mydailysentinel.com/wp-content/uploads/sites/14/2018/07/web1_7.13-4-H-1_ne201871213255544.jpg4-H members took part in judging this week for many of their projects. https://www.mydailysentinel.com/wp-content/uploads/sites/14/2018/07/web1_7.13-4-H-2_ne201871213258765.jpgJeff Circle and Tim Ihle go over the judging results. The men have judged projects for several years.